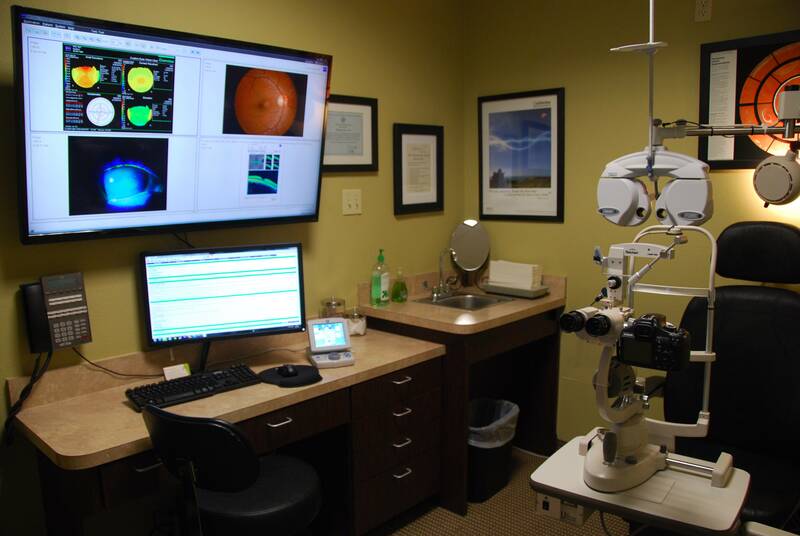 This is the gold standard instrument to measure peripheral (side) vision. Glaucoma, strokes and lid droop are some of the many conditions requiring detailed visual fields. In glaucoma the field of vision is the first to be affected. By the time the central vision is affected, glaucoma is already far advanced with almost all peripheral vision permanently lost. That is why glaucoma is called the ‘sneak thief of vision’. When we test vision on an eye-chart, only the central vision gets tested. So reading 20/20 on the eye-chart would mean you have great central vision, but no comments can be made about the peripheral field of vision. 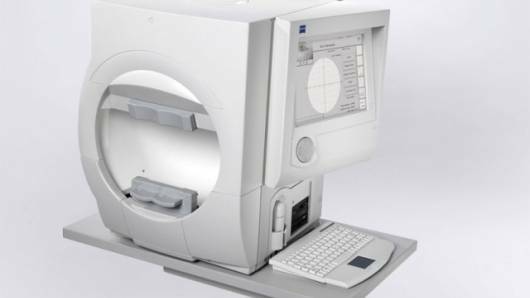 Automated field analyzers, such as the Humphrey Visual Field Analyzer is used to perform the field of vision test. A light point is presented in a predetermined fashion (location sequence) in a lighted bowl and the patient is asked to press a button when they see the light point. The responses are analyzed statistically and compared with a database of normal responses.